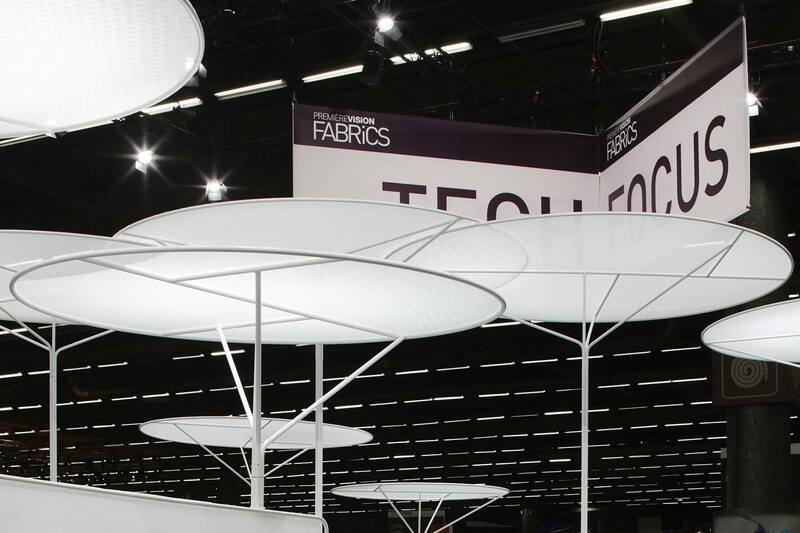 We saw the « Tech focus » forum as an atypical beach studded with parasols. 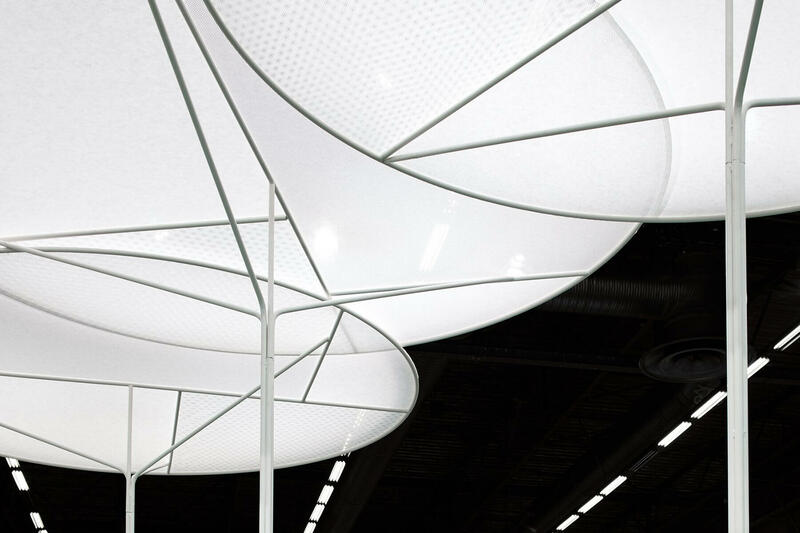 Between the masts of those umbrellas come some tables intertwining, to expose horizontally the different meshes and textiles. Faceted geometrical displays enable to arrange different compositions and natures. Everything rests on light wired trestles, with the same completions as the umbrellas. 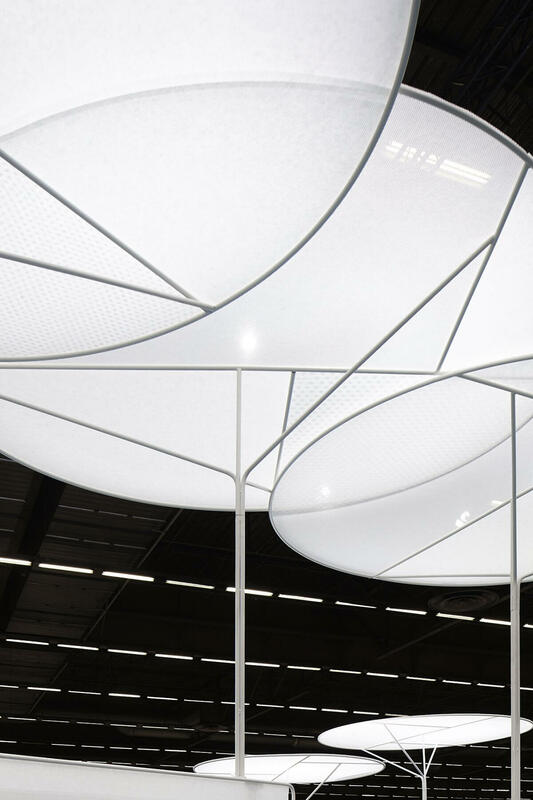 This assembly creates a harmonious confrontation between lightness, balance and minerality. Three securit glass panels are in levitation on a plum-up point. 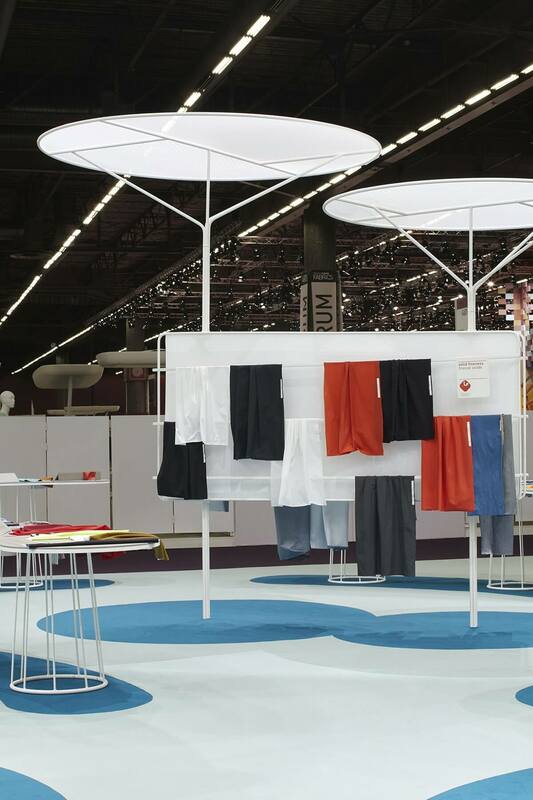 They allow compartmentalising the different zones: Beachwear, Eco-friendly and Technical Mesh. They are silkscreened on each face with experimental romantic themed patterns, proper to each sub-areas: “Foaming Sea” for Beachwear, “Fibrous Tropical Leaves” for Eco-friendly and “Jupiterian Marbling” for Technical Mesh. Those glass panels serve also as signage to generate an intuitive flow within the stand. The ground is the projected shadow of the tables and the umbrellas, with the idyllic colours of an atoll.